Started by an industry legend, this third-generation family-run business continues to evolve and thrive. Founder Maurice Stein. Photo courtesy of Cinema Secrets. The term “legend” comes up a lot when people talk about Hollywood history, especially in this neighborhood that’s been home to so many movie-industry heavyweights. Still, when it comes to makeup and effects artists, Maurice Stein lives up to the label. He was one of the most successful, innovative makeup artists in the biz for decades (with 200 films and television shows and over 4,000 commercials to his credit) and has been inducted into more than one industry hall of fame, among other honors. Throughout his career, Stein was also known as one of the profession’s most inventive members, raising its standards and improving the tools of the trade. Of course, here in Toluca Lake, he is also known as the founder of local treasure Cinema Secrets. 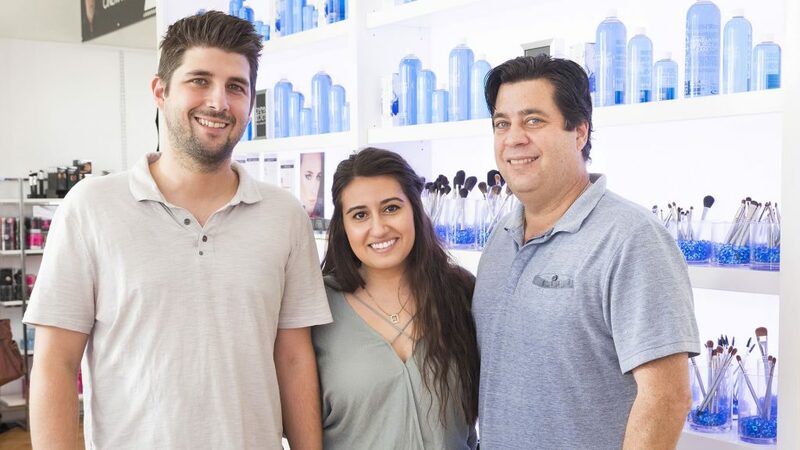 This family-run company with an increasingly global reach serves as the ultimate cosmetics resource for professionals and beauty enthusiasts alike, and like Stein himself, it is truly one of a kind. Stein retired from full-time production work at age 50 in 1984 (although a very generous offer to work on The Golden Girls television series pulled him back in for a while; there he created the makeup that made actress Estelle Getty look old enough to play Bea Arthur’s mother, despite being the younger of the two). Stein had the idea of opening a business in Burbank that would supply industry professionals and the nearby studios with the products they needed on a daily basis. He and his wife, Barbara, who served as company president, remodeled a local car repair shop about half a mile from the current Cinema Secrets location and opened shop in 1985. They weren’t looking for outside business in those days, and operated with no publicity or marketing — just word of mouth. “I was pretty cognizant of the kind of materials that were needed for makeup artists and hairdressers, because I had a hairdressing background as well,” says Stein. 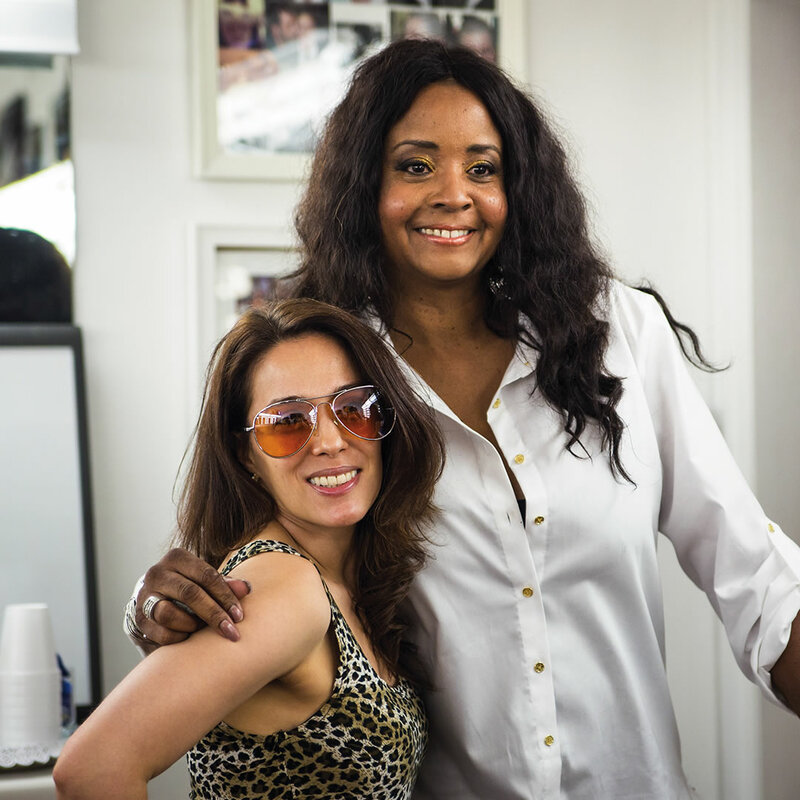 “I knew what the professional makeup artist needed; all I had to do was fill in those gaps, and that’s exactly what we did.” With only one other beauty supply store in the area at the time, business was brisk and they paid their investment back within seven months. FAMOUS LOOKS Stein on set in 1968 during the filming of Planet of the Apes. Among his many other credits are the television shows Star Trek, M*A*S*H, Land of the Lost, Soap and The Golden Girls, and films Funny Girl and Friday the 13th. Photo courtesy of Cinema Secrets. Occupying the southwest corner of Riverside Drive and North Valley Street, the new building appealed to Stein not only for its size and proximity to major studios, but because it was a former learning center with a classroom. Stein got the teaching bug back when he was part of the Academy Award-winning makeup team led by the renowned John Chambers for the classic film Planet of the Apes. 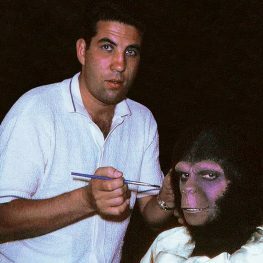 Part of Stein’s duties included teaching other artists the simian look that needed to be reproduced on a large number of actors in the movie. 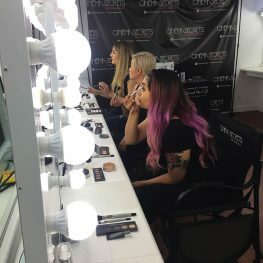 In the new Cinema Secrets facility, Stein would have the opportunity to teach classes, serve as a mentor, and provide space and workstations for up-and-coming makeup artists. 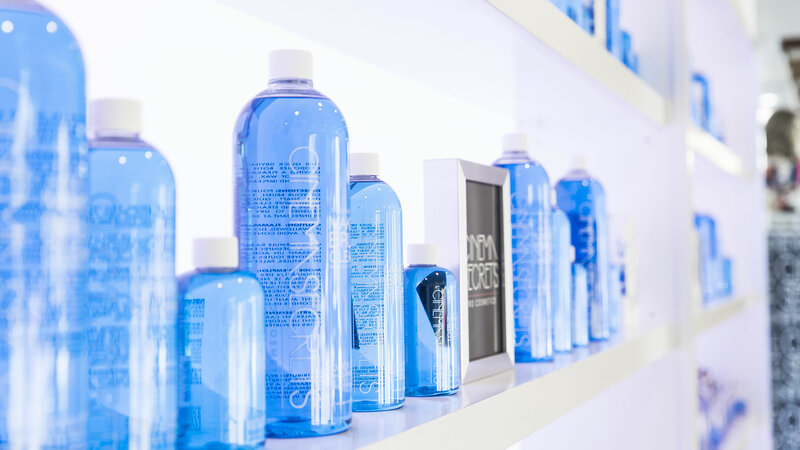 In addition to offering a wider array of products than the previous store, the new location and classroom almost served as a beauty graduate school. “We gave this room away for free (and still do) to any industry professional that wanted to practice their trade,” says Stein. “That was something that helped us a lot. The professionals that came in repeatedly were the ones who were serious about bettering their education. That kind of PR really built the company.” It launched a lot of careers, too. What also built the company was Stein’s development of products created for professionals, utilizing his vast knowledge and experience in the industry combined with an inventive mindset and willingness to embrace new, better-performing materials and ingredients. One of his early career innovations, the stainless-steel makeup palette (pictured), was also one of the first Cinema Secrets products. Used with a metal spatula, the palette prevents makeup cross-contamination and allows artists to mix just the right shade before application. 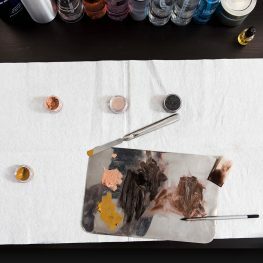 The palette quickly became a tool de rigueur for the pros, as did the company’s makeup brush cleaner, which continues to be its top-selling product year after year. Another signature item is the silicone-based Ultimate Foundation makeup, which was developed specifically for durability on set. The time-tested product continues to be a favorite among many makeup artists for its ability to withstand temperature, lights and other extreme conditions. CLASSIC DESIGN One of Stein’s early contributions to the industry was a stainless-steel makeup palette based on the design of a military signal mirror. Photo by Daniel Deitch. 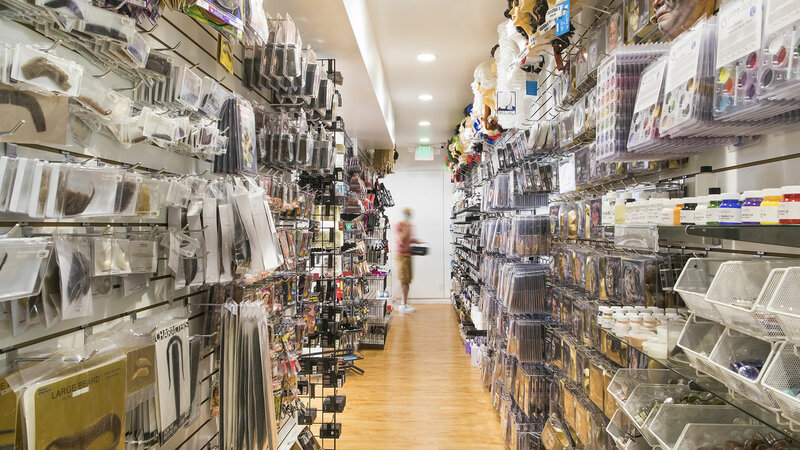 Over the years, the business continued to develop products — from professional and special-effects makeup lines to wigs, prosthetics and full Halloween accessories under the Woochie name — becoming the go-to source for entertainment pros. The foundation makeup formulated by Stein has also been widely utilized in the medical field for patients who require a full-coverage product to decrease the appearance of skin disorders, burns or scarring. Like many entertainment businesses and careers, Cinema Secrets was hit hard by the recession and the writers’ strike about a decade ago as well as continued runaway production, but thanks in part to business diversification, it is finding its stride again. Online sales are helping to drive revenues, and in addition to its long-term product lines, the company is launching licensed brands like the Baywatch Cosmetics line, with more deals in the works. Meanwhile, a growing list of international retailers and worldwide distributors is increasing its global reach. A-TEAM Brand Manager Jon Stein, Marketing Communications Manager Sara David and CEO Michael Stein. Photo by Daniel Deitch. 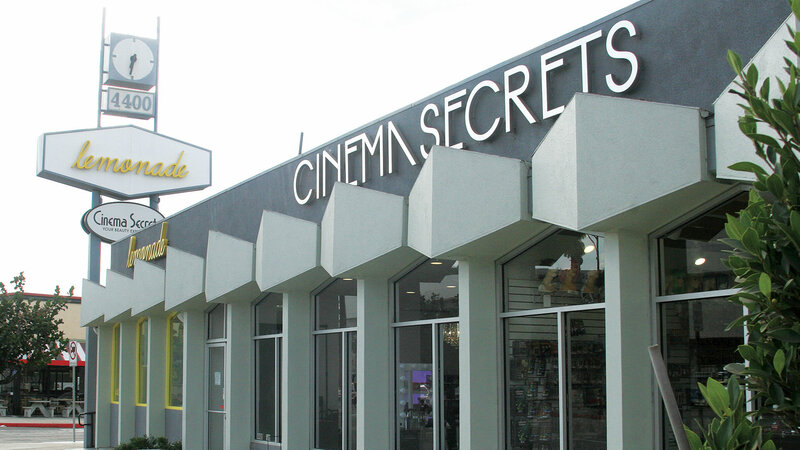 MORE THAN A STORE Education continues to be an integral part of Cinema Secrets’ mission. 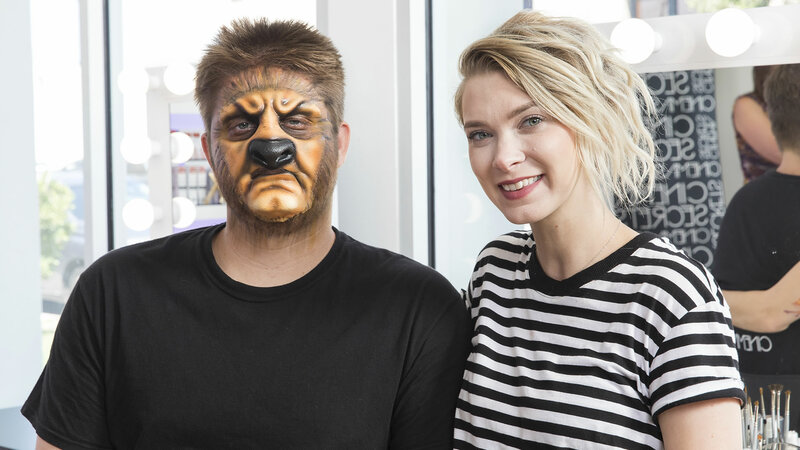 Makeup classes range from the basics to covering tattoos to special effects. Photo courtesy of Cinema Secrets. The Riverside location serves as both retail store and corporate headquarters. Stein has created a family atmosphere at Cinema Secrets by incorporating, well, family. His wife, Barbara, helped him start and run the business for years, and now the next generation of Steins has joined in. Due to health issues, he and Barbara are no longer involved in day-to-day operations, but Maurice says he still drops in for a few hours when he can since retiring about two years ago, “just to stir the pot.” The business maintains a staff of about 40, many of them long-term employees. 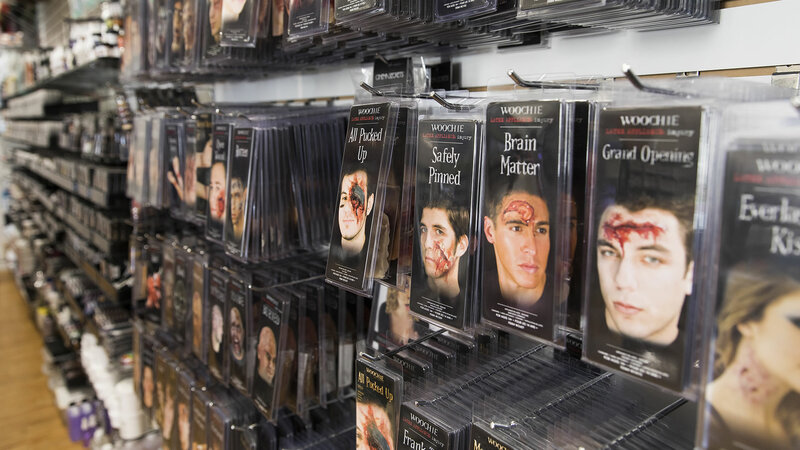 Everyone who works the floor of the retail shop is a trained makeup artist. Musing on the bigger picture, Stein adds, “The business has changed dramatically, in that a lot of it is going online, but I also see that we are holding our niche — and we still do a good amount of business in our retail store.” As part of its continuing evolution, the company has also opened up its space for private parties and events, with a very positive response. “The demand for it is much more than we expected,” says Stein. PREMIERE When launching a new product, Cinema Secrets relies on its most important audience, pro artists, to try it first. Photo courtesy of Edrea Lara. In an age of big-box stores and faceless merchants, this family-run local favorite stands out with its friendly, personalized service and staff members who are eager to share their craft. So, if you’ve ever walked by Cinema Secrets and peeked through the window at a makeup demonstration, go inside next time. “Education is in our blood and we’re happy to teach those who are willing to learn how the pros do it!” says Marketing Communications Manager Sara David. 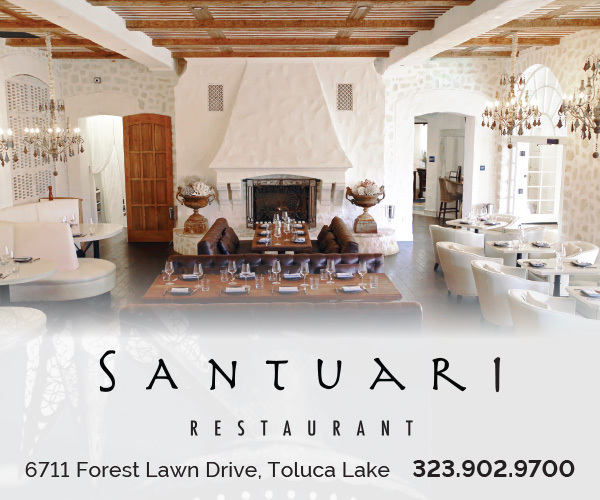 Like the neighborhood of Toluca Lake itself, Stein’s living legacy continues to build upon creative traditions in its own unique way. “I couldn’t be more proud of what Cinema Secrets is today,” he says. GLAMOUR GIRLS In May, Cinema Secrets hosted a fundraising event benefiting the Face Forward organization (board members Christina DeRosa and Alesia Alaziz even got in on the fun). Photo courtesy of Edrea Lara. Not only is Maurice Stein one of a kind in terms of his art, he is a big thinker with a huge heart to match. While still working as a makeup artist, he was deeply involved in his union, serving on the welfare committee for many years. 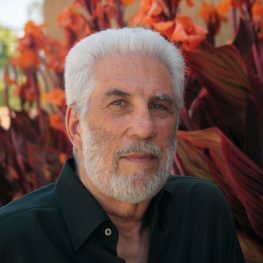 Through his work with the Look Good Feel Better Foundation, American Cancer Society, Johns Hopkins Burn Center and other organizations, Stein applied his professional expertise and developed products to dramatically improve the daily lives of cancer patients as well as domestic abuse and burn survivors, helping them to look and feel like themselves again after traumatic illnesses and injuries. The Cinema Secrets store has also been generous in donating space and resources to such efforts.